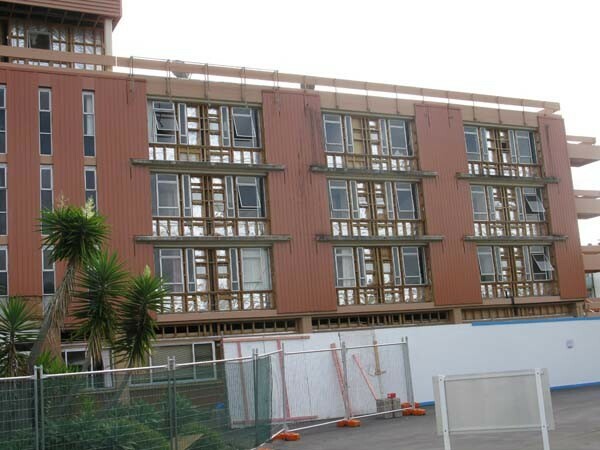 As part of the major refurbishing project at the apartments, the asbestos paint on all the balconies and rendered sections of the building needed to be removed. Asbestos paint was used on many buildings especially on rough finished concrete and render surfaces. The Peel Away application was done using a heavy duty airless spray machine; the entire site was also completely contained throughout the stripping process. Peel Away 8 was used to successfully remove all the coatings on this building. The surfaces were then certified, free of any traces of contaminants.